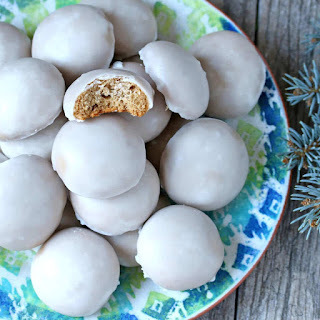 German Lebkuchen; when life with spice is nice! 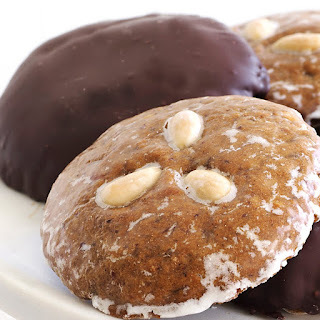 If you already "get" what Lebkuchen is about, stop reading now. For everyone else, allow me to fill you in. Exotic spices from the Orient, Africa, and the Middle East began appearing along the trade routes in Europe hundreds of years ago. It didn't take long for German bakers to start experimenting with spices like cinnamon, cardamom, cloves, anise, nutmeg, ginger, coriander, allspice, and pepper. 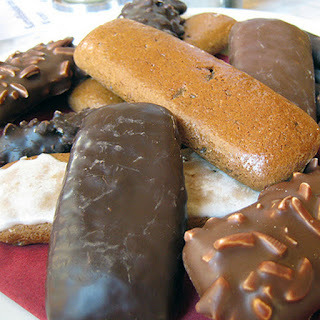 CLICK➽ Imported Lebkuchen & Christmas specialties available right here in the USA. Lebkuchen, literally-translated means "life cake" and many Germans believe that their own life simply would not be complete without a generous assortment of this famous German Gingerbread during November and December. There are cake-like versions of Lebkuchen, but most Germans think of it as a type of cookie. 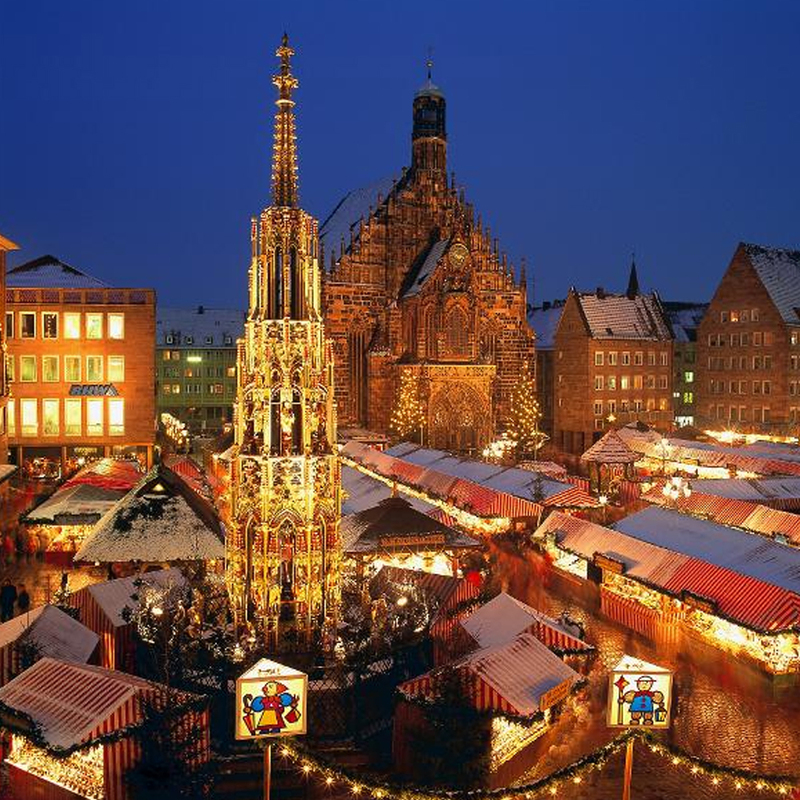 Recipes were created that quickly became synonymous with German cuisine and eventually with Christmas traditions in Germany. 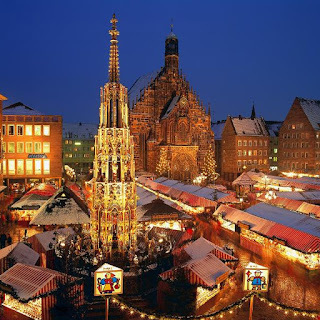 Christmas markets in Germany sell steaming cups of spiced red wine (Glühwein) and the perfect cookie to go with hot wine or a cup of hot chocolate is your favorite variety of Lebkuchen. Famous bakeries with familiar names like Wicklein, Lambertz, Bahlsen, Haeberlein-Metzger and Lebkuchen-Schmidt are typically well represented at these outdoor markets across Germany. 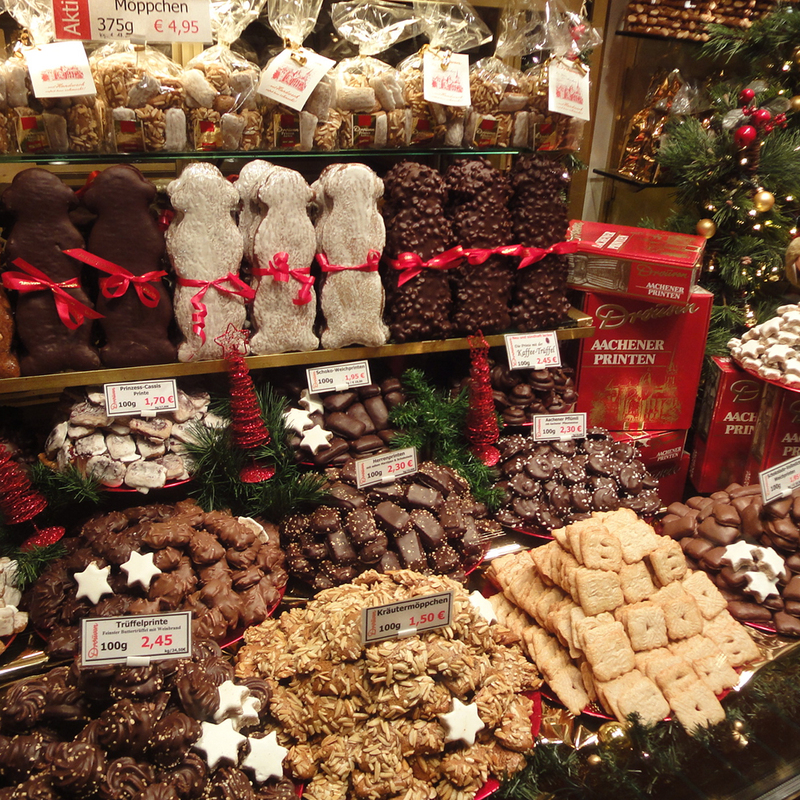 In the days leading up to Christmas Eve countless millions of German Gingerbread is consumed. 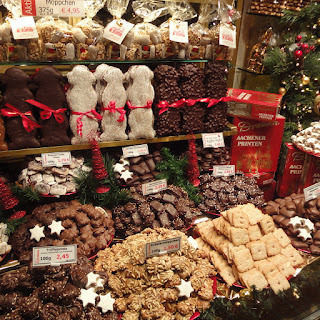 As fall merges into winter, a typical local bakery (Bäckerei) in Germany will often feature its own Lebkuchen specialties. 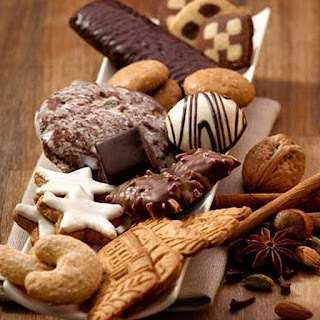 Supermarkets feature a huge assortment of commercial Lebkuchen cookies that taste as delicious as they smell. Even those who may not observe Christmas as a religious holiday often can't resist the aroma of the many spice combinations that give the Lebkuchen varieties their distinct appearance, taste, and texture. 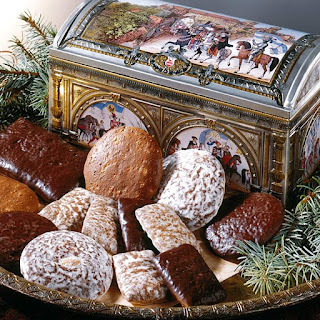 During the winter holiday season, gift-givers like to present friends and loved ones with beautifully decorated keepsake tins filled with Lebkuchen. The Festtagstruhe (Festive Chest) can be large and elaborate, not to mention collectible and large enough to fill with other specialties like Stollen. However, smaller tins can also bring squeals of delight. After Christmas the tins are great for storing ornaments, letters, or mementos. 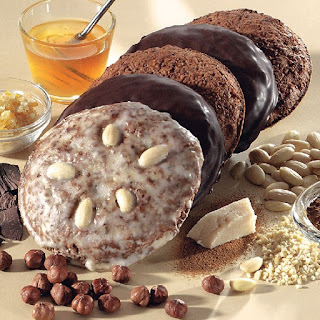 Some Lebkuchen types are firm and chewy, like Aachener Printen, which often boast notes of honey or incorporate bits of crunchy sugar crystals into plank-shaped cookies. These cookies lend themselves well to dunking in your favorite hot beverage. Most Lebkuchen varieties are soft and moist. An example is the classic round or rectangular Nürnberger Oblaten Lebkuchen. Because of the delicate nature of these famous cookies, the dough is often placed onto thin, paper-like Oblaten wafers (➽ purchase Back-oblaten) and served glazed, or thinly-coated with chocolate, or simply unadorned. By the way, Oblaten wafers are 100% edible and without them the delicate cookie would fall apart during baking. When not backing up a cookie, Oblaten are used as communion wafers. 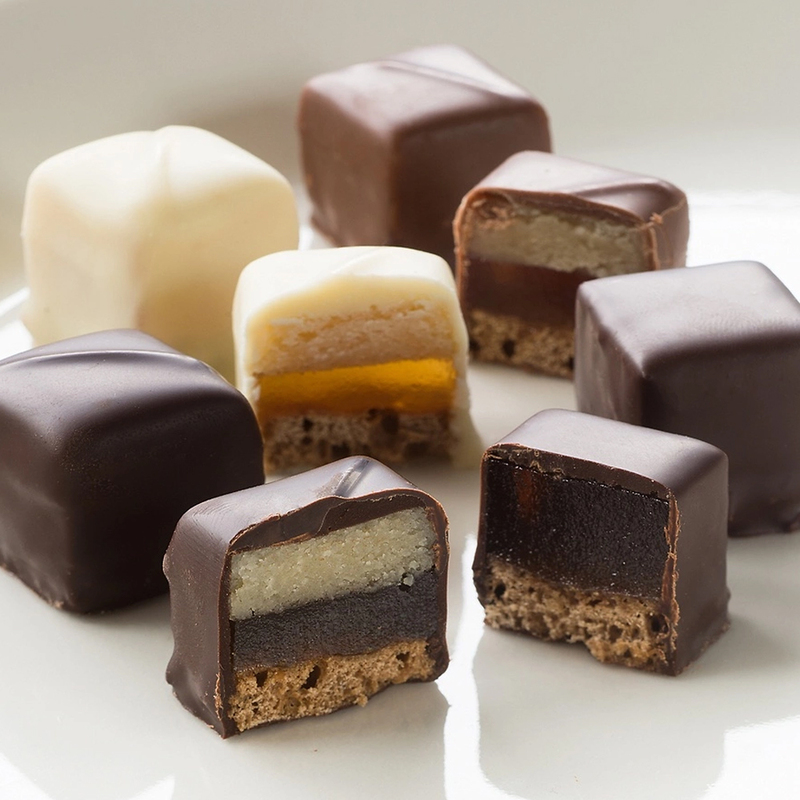 Bakers often kick up the flavor of Lebkuchen with a hint of citrus peel. They may also add an extra boost of richness with the generous addition of ground nuts. 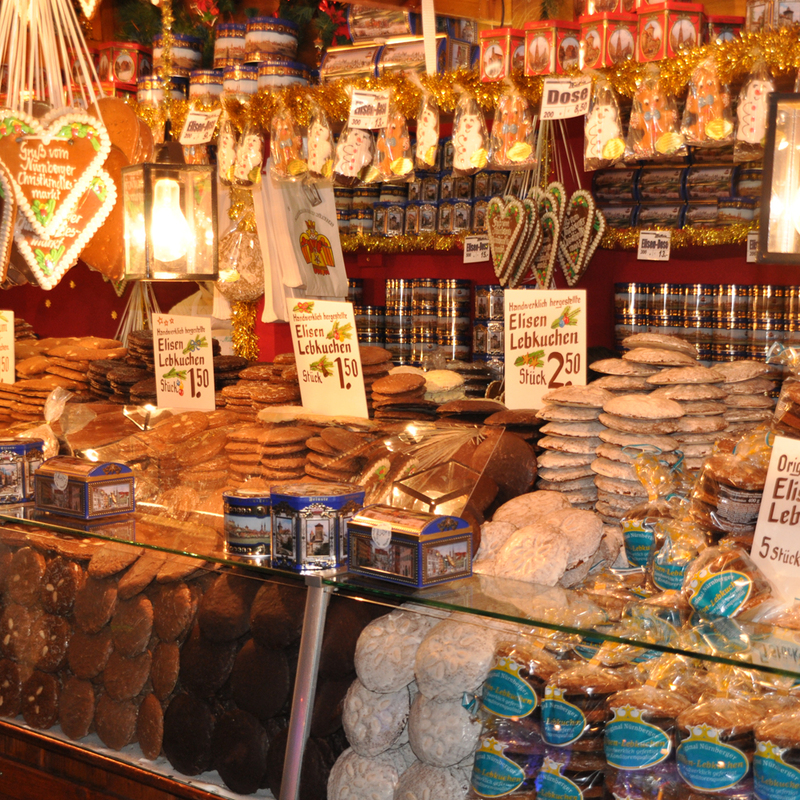 An example is the version known as "Elisen" Lebkuchen, which is often pricy because of the quality of ingredients. German Bread? The kneads of a "Brot" addict. It's all about that crunchy crust. Well, and it's also about that firm, yet pliable texture. And that heady smell of rye or sourdough. And it's about that amazing flavor. And how the butter (German butter or cheese preferred) settles into the air pockets of every slice. 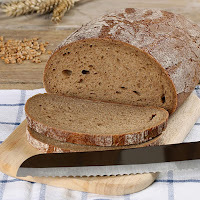 Those of us who grew up in Germany remember being sent off to the local bakery around the corner to fetch a loaf of fresh German bread (Brot) before we were old enough for preschool. It was a rite of passage to walk into a local Bäckerei, filled with the aromas of baking breads, to stand in front of stacks of Bauernbrot, Roggenkruste, Ur-Roggenkruste, Mehrkornbrot, Fein-Mischbrot, Friesenkruste, Steinofenbrot, and a dozen or more varieties of handmade German breads. Before we were old enough to read we handed a note from our Mutti or Oma to the baker's sales clerk and then waited to be handed a heavy, fragrent loaf or two that might still be slightly warm. It's a hearty, happy memory that stays with you forever. 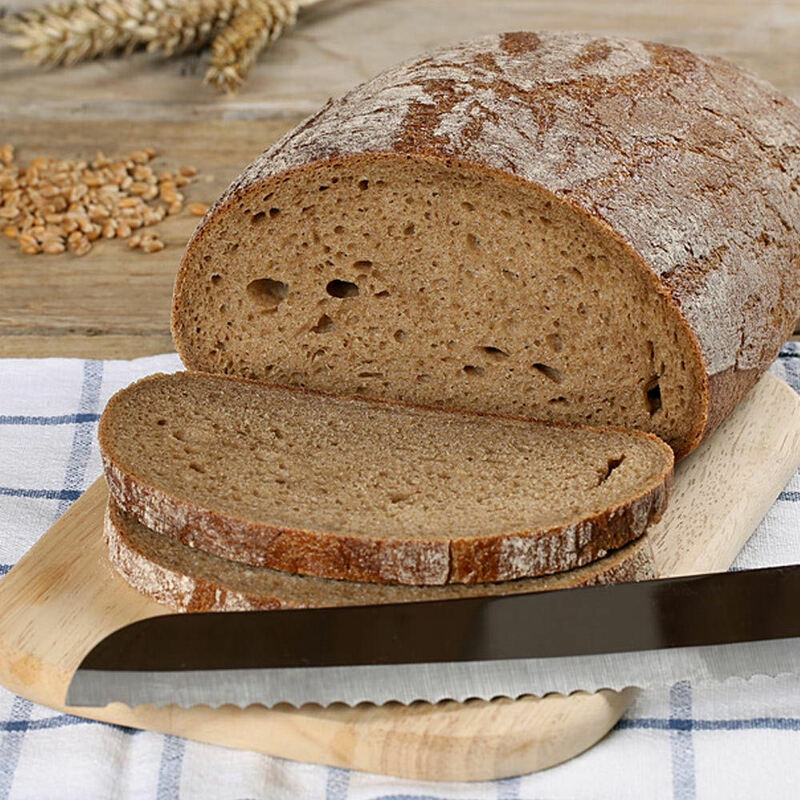 Baking the perfect loaf can certainly be a home-made project for dedicated souls, but most families in Germany rely on the professionals to coax the best flavor and texture out of grains of every type. 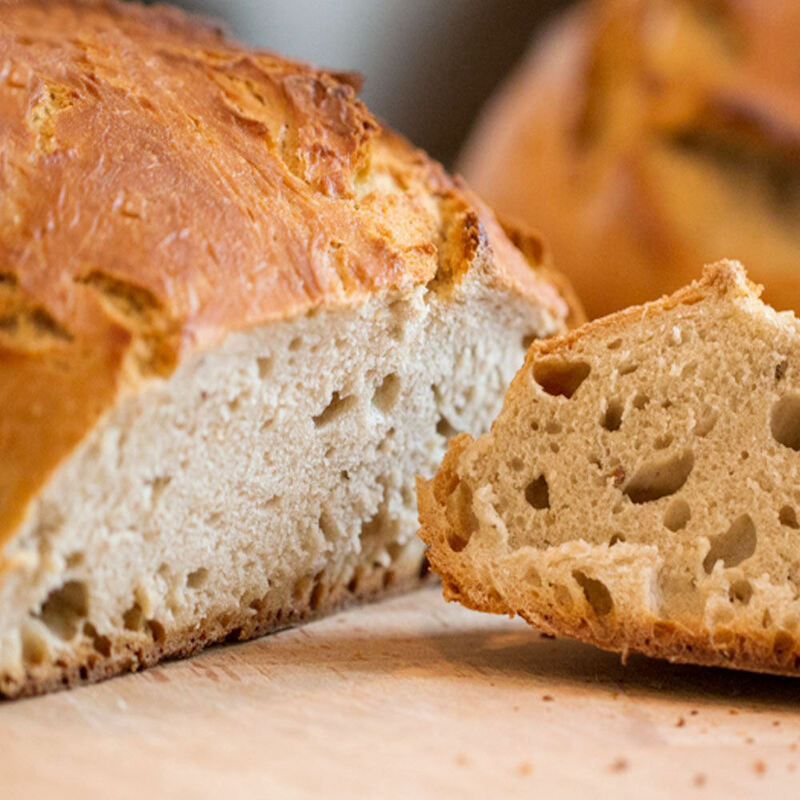 The alchemy has been past down across the centuries from baker to baker, but the passion to create breads that leave an impression, and a crunch, is something that gets renewed every time a baker dons an apron. Sausages are a favorite German staple for good reason. They incorporate a variety of protein types from beef, to pork, to poultry and beyond, the art of sausage-making efficiently uses almost every part of the animal. The German culture frowns upon wasting any part of a butchered animal. 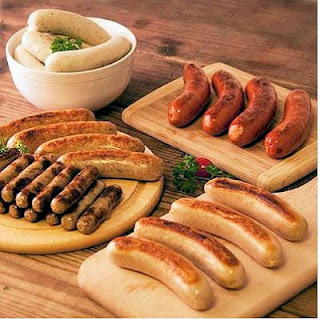 Properly seasoned sausages (wurst) is not only delicious but also economical and easily preserved. Meats types are often combined and in many cases the addition of animal fat, organ meats, and occasionally even blood, allows for never-ending varieties and flavor profiles, giving sausage fans a huge variety of serving options. 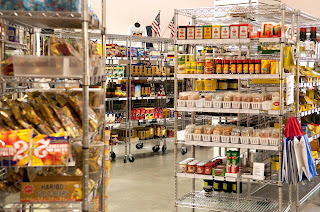 GermanDeli.com, which offers imported German and European groceries to residents in the USA, was recently selected to join the Google Trusted Stores program. To help shoppers identify online merchants that offer a great shopping experience, the Google Trusted Store badge is awarded to e-commerce sites that demonstrate a track record of on-time shipping and excellent customer service. When visiting GermanDeli.com's website, shoppers will see a Google Trusted Store badge and can click on it for more information. "To say we're proud to earn the Google Trusted Stores Badge would be a huge understatement," says Inga Bowyer, GermanDeli's president and co-founder. "Our store went 'live' in April of 1999, and since day one we've made it our mission to give our customers stellar service and a great shopping experience. That's why it's especially wonderful to now be recognized by Google for our dedication to our shoppers," says Bowyer. "Many of our customers once lived in Germany or other parts of Europe. 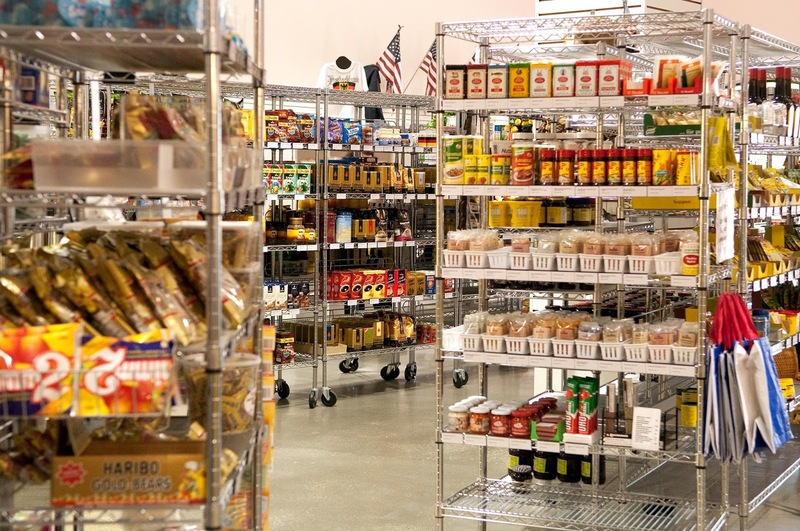 Now that they're living here in the USA they often crave some of the thousands of imported groceries our online store carries. 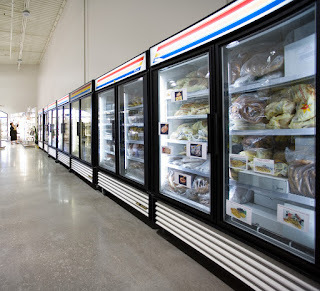 Our motto has always been 'It's not about the food; it's about the memories' and giving customers both great products and trust-worthy service reinforces our goal to connect shoppers with their favorite food memories. 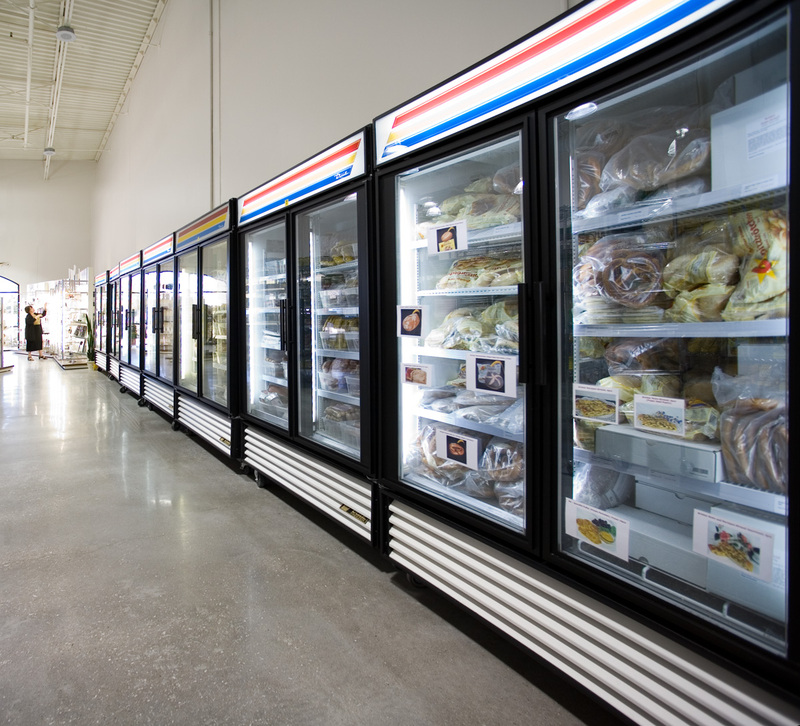 As a matter of fact, we often help our customers create new food memories for their family and friends." Bauernbrot, Brötchen, Käse, Matjes, Wurst, u.s.w. As an added benefit, when a shopper makes a purchase at a Google Trusted Store, they have the option to select free purchase protection from Google. 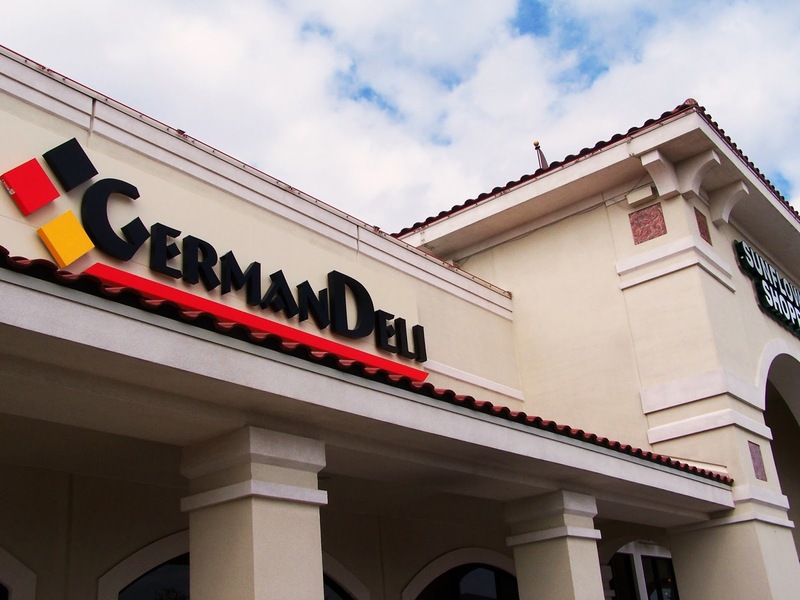 Then, in the unlikely event of an issue with their purchase, they can request Google’s help, and Google will work with GermanDeli.com and the customer to address the issue. As part of this, Google offers up to $1,000 lifetime purchase protection for eligible purchases. 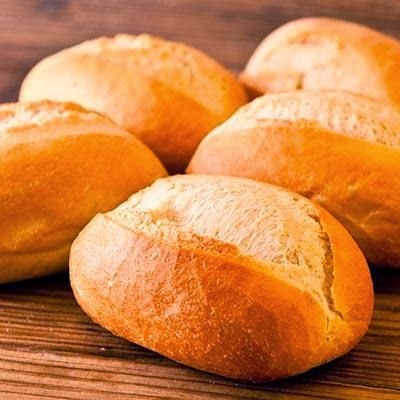 The crusty German yeast roll known as "Brötchen" (“little bread”) is as pleasingly moist and chewy on the inside, as it is satisfyingly firm and crunchy on the outside. Dipping pieces of Brötchen into the yolk of a soft-cooked egg is always a delight. Sweet toppings also rank high on the popularity scale. Try honey, fruit preserves, sugar beet syrup (Zuckerrübensirup), or a chocolate-hazelnut spread. And a Fleischsalat (hearty meat salad) can turn a lowly roll into a satisfying meal. And we’d be remiss if we didn’t also mention the guilty pleasure of slicing open a fresh Brötchen and sandwiching a sweet, fluffy, chocolate-covered “Schaumkuß” between the two halves. Good News!! You can get authentic German Brötchen here in the USA at GermanDeli.com. They are imported from Germany where they've been partially-baked (par-baked) and are ready for you to finish baking in your oven. 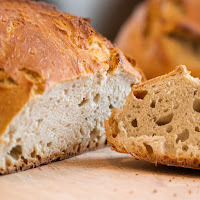 Brötchen (brotchen, broetchen), depending on the region, may also be referred to by one or more of these names: Schnittbrötchen, Spitzbrötchen, Semmeln, Schrippen, Weggla, Weckerl, Weckle, Wecken, or Rundstücke. The traditional Brötchen is made primarily from wheat flour, yeast, salt, and water and is shaped into an oval. 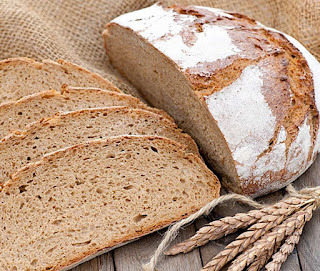 However, more modern variations often include the addition of other flour types like rye. Sometimes milk fats, butter, or oils are added. 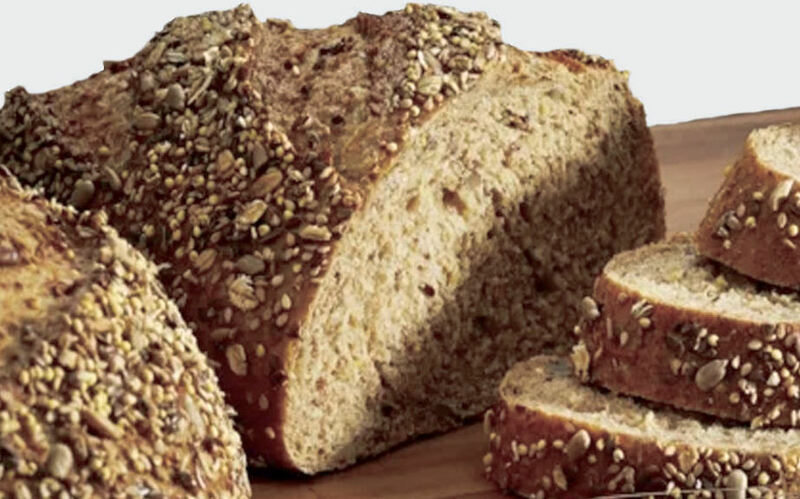 The shape of a roll might vary, as well, and the roll might be be covered with seeds or nuts. Summer time in Germany is celebrated to its fullest in the local market square. Every city, town, or tiny hamlet has at least one market square with booth after booth displaying a bounty of seasonal fruits and berries. Local farmers pick berries fruits only when fully ripe and aromatic. It's almost impossible to walk past a harvest of perfect strawberries, peaches, plums, red currents, and other seasonal berries and fruits without filling up at least one shopping bag to overflowing. Fresh fruit juices running down your chin, perhaps even before you get your purchases back to your kitchen or hotel room, is its own reward. However, there are other ways of enjoying Mother Nature's answer to sweets made in a factory. A Fresh Fruit Tart (Obstkuchen or Obst Tortenboden) is not to be missed. 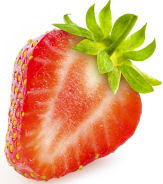 One or more fruit varieties are strategically placed or joyfully heaped onto a delicious sponge cake. Your personality and temperament determines if you are a precise "placer" or if you pile it all on with great abandon. Either way, it's all held together with a gelatine glaze. All over Germany, amateur and professional bakers alike create visually-appealing, edible masterpieces. But it doesn't have to end there. "Aber bitte mit Sahne" is a common request in Germany, loosely translated as "But, with whipped cream, please.". Indulging in a dollop of sweetened, whipped cream is not a requirement, but it certainly is a compliment to a wonderful plate of summer's sweetest and juiciest gifts. So, grab a fork and enjoy! 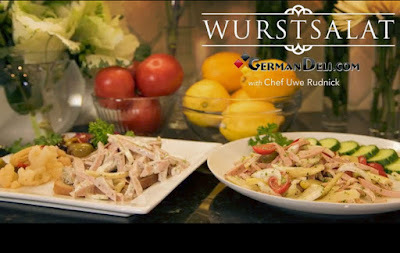 Here are two delicious German salad recipes that are easy on your budget, a breeze to make, and won't heat up your kitchen on a hot summer day. Both are so tasty that you'll make them all year long. 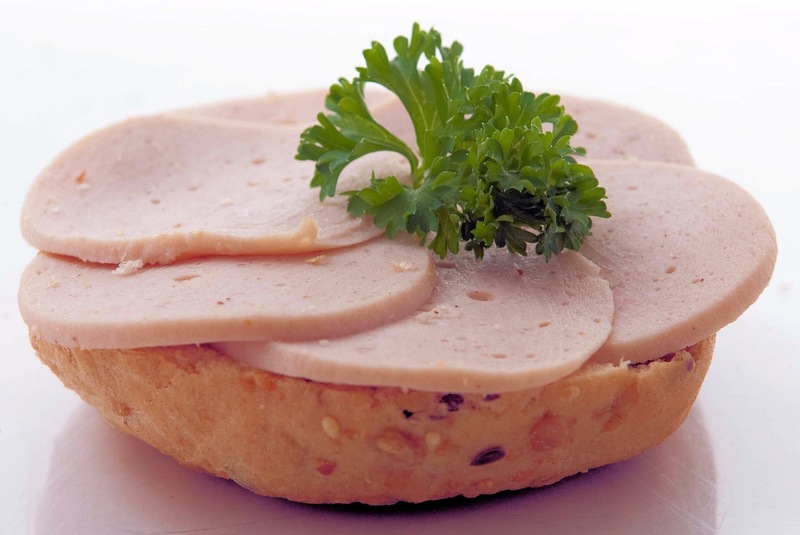 ■ 1 pound (two cups or more) leftover cold cuts chunks (Ring Bologna, Fleischkaese, Jagdwurst, Schinkenwurst, etc.) but almost any leftover meat, including beef steak, could be turned into a delicious cold salad. Slice the Meat, and Cheese into Julienne strips (or slices, or cubes) and then add all the other ingredients and toss. Keep salad chilled until ready to serve. Dice the Meat into cubes or cut it into strips and then add all the other ingredients and toss. Keep salad chilled until ready to serve. This salad is great on top of a hearty rye bread or a crusty roll. Inga Bowyer. Simple theme. Theme images by Nikada. Powered by Blogger.